Scott Kunhley, or Scotty, was himself an amazing artist, he found time in his schedule to sit for a groups of artists. This is a very traditional portrait of a very colorful and fascinating man. 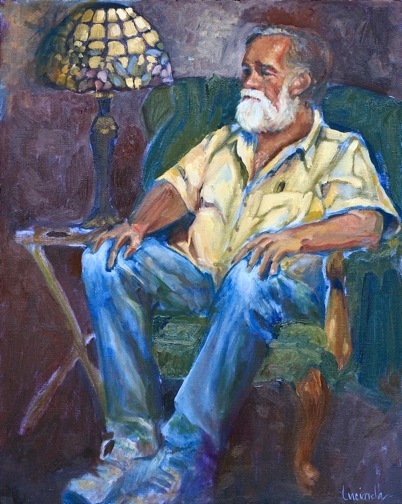 I enjoyed sitting, watching and learning as Scott worked at his own paintings. He had volumes of stories to tell, one of us should have written them all down!